What will happen if VFD is not installed correctly? Home » FAQ » What will happen if VFD is not installed correctly? As with other advanced speed control systems, initial setup of the variable frequency drive (VFD) and motor parameters is critical. 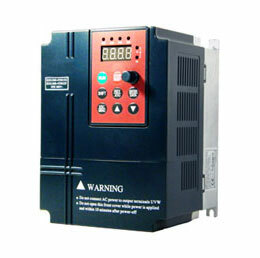 Most variable frequency drives accept a 50/60 Hz line input. 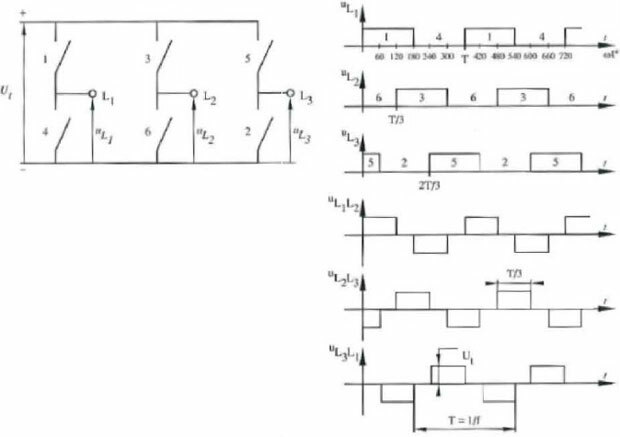 However, aside from this input capability, an internal setting for the motor frequency is often required as well. If this setting is not made, the motor or gear motor overheats and can even burn out. Ac inverter-duty motor windings are often designed for either 50 Hz line (like in China), or 60 Hz line (in North America); the variable frequency drive needs to be configured for the motor. The worst thing that can happen is a failure to the VFD power section. This can happen in two situations: if line power applied to the VFD is higher than the VFD rating (i.e. 600 Vac line power is applied to a 240 V ac rated VFD), or if the VFD is miswired such that input line power is connected to the output terminals. Unfortunately, both of these scenarios are fairly common and are usually due to haste in installation. This is why VFD manufacturers urge users to read and understand all the ratings and installation procedures before attempting to wire the VFD. Another worst-case scenario occurs when load requirements exceed the rating of the VFD and/or motor. Often, older speed-control technology such as variable-ratio belts or older dc drive systems are replaced with new VFDs. These are great applications for new ac VFD technology, but care must be taken when sizing and selecting the ac motors and VFDs here. Designers must identify load speed and torque requirements and choose the appropriate VFD and motor (and possibly gearing) to accommodate these. For example, if the selected VFD and/ motor cannot produce the torque needed, then the application may never perform to expected levels. There is also a high risk of overload. All VFDs have built-in protection for overload conditions, so there is no danger of damaging the VFD; the danger is having a machine or process that cannot operate to its full potential, or possibly not at all. 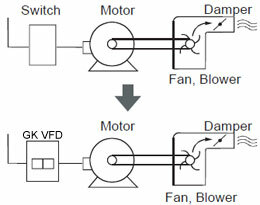 Here are a few of the mishaps that can happen with VFDs: The VFD will not function in the application (in other words, will not start, will not run, shuts down, and so on); the VFD functions, but the quality of the product being manufactured is not high enough (here, the wrong type of VFD/motor is probably selected); the application appears to work, but experiences nuisance trips that impact productivity; the VFD works, but only after advanced manual tuning efforts. The VFD should run properly out-of-the-box after executing an autotuning routine. The worst scenario is loss of productivity or damage to equipment. Example: A customer uses one of our variable frequency drives on a machine that de-ices airplanes at an airport. The equipment was working just fine when the temperature outside was above freezing. However, when the temperature dropped below freezing, the motor either wouldn't start or wouldn't operate properly. In the hangar, everything seemed to work fine. After receiving a phone call from the upset operator, we determined that the variable frequency drive was acting up due to cold temperatures, as ambient temperature fell below the variable frequency drive's recommended specification. We recommended that they install a heater by the variable frequency drive's power board and this solved the problem.